As we venture down this agricultural path, it is becoming very apparent that my soft spot for animals conflicts with my omnivore tastes. I suppose it has made me a very aware omnivore, one who not only wants to know where the food comes from - but how it was treated. If I am going to eat meat, then I told myself that I would have to come to terms with death. The meat birds last summer were my first experience with raising my own food, and it truly did make me appreciate the food on my table. Putting your own sweat and effort into raising your food makes you appreciate it! I also know that the birds enjoyed the freedom of the pasture, and were able to act like natural poultry - their existence while short was pleasant. 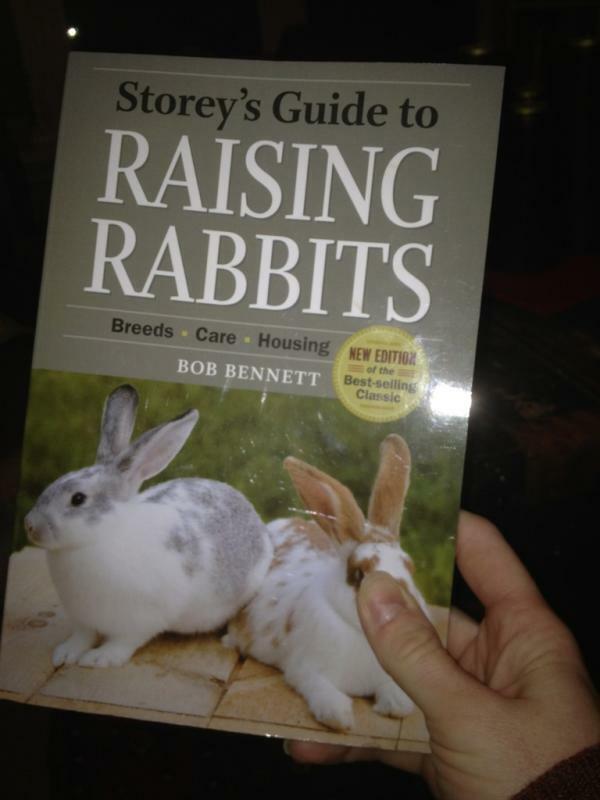 So I find myself wondering if I could make the jump into rabbits. (No pun intended..ok, well maybe - but that was just too easy!) Raising chickens for the table is one thing, but rabbits...I have read that their meat is low fat, and high in protein. It is easily digestible and very good for you. People pasture rabbits much the way they do chickens, so the effort would be similar. I worry that I will end up with a hutch full of bunnies, and won't have the heart to send them to market. You know, it's funny. As a child when I heard this refrain I always envisioned the first pig skipping along to the grocers with a basket and a grocery list. Funny how things change. And this little pig went wee wee wee! All the way home.